With the new Alpha-A series, Novocontrol introduces a turnkey commercial solution for nonlinear dielectric, conductivity, electrochemical and impedance spectroscopy. 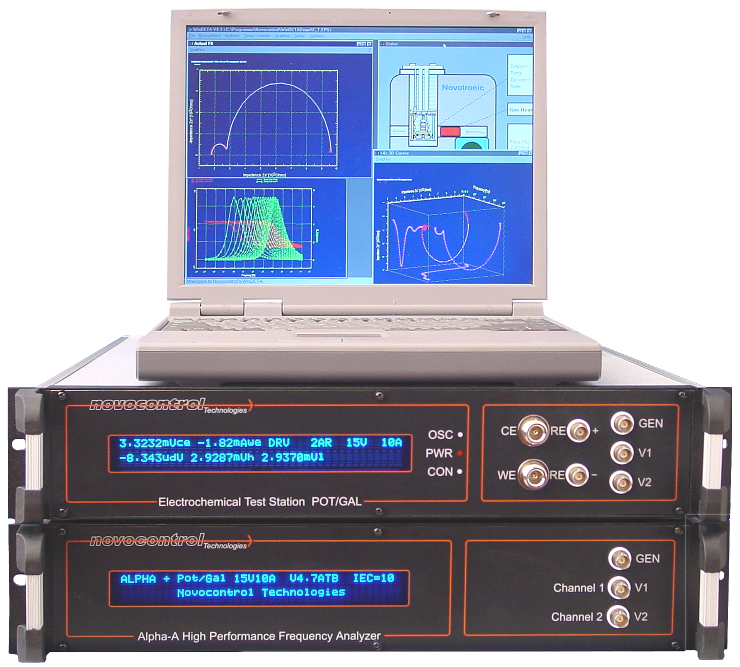 For this purpose, the Alpha-A mainframe and all test interfaces (except G22) support measurements of the sample voltage and current in terms of DC components, harmonic base waves and higher harmonics up to the interface high frequency limit. Nonlinear evaluation is fully supported by WinDETA software, which reads and graphically displays all voltage and current base, and higher harmonic components. In addition, other parameters like DC material parameters, linear impedance, permittivity, conductivity and the corresponding higher harmonic terms are processed. 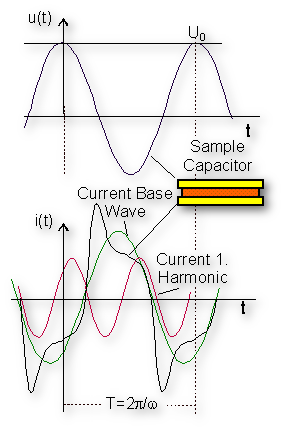 The higher harmonic current components I*n(ω) are calculated by the Alpha analyzer like the base wave (n=1) by complex Fourier Transform from the sampled current i(t), where n denotes harmonic n-1. 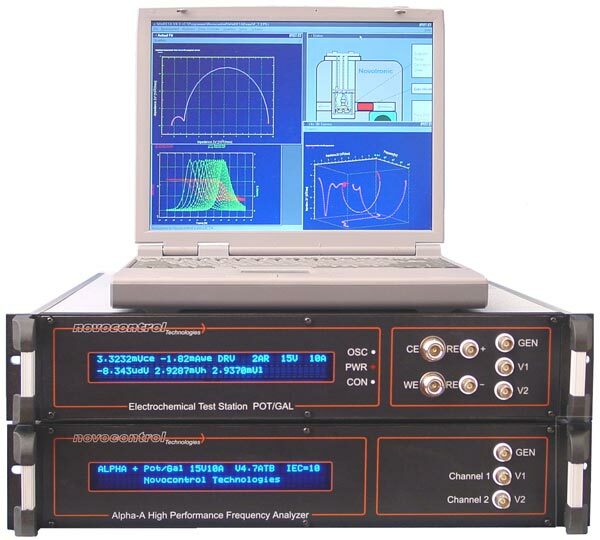 In gain phase mode, non-sinusoidal signal components in the measured voltages are detected by harmonic analysis.